What a week it’s been as a Watford fan. We at FTRE have been open to Laurence Bassini as the owner of the Watford FC, even with some worrying thoughts in the back of our mind. 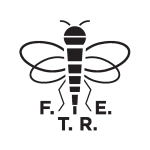 With a no show at the fans forum and a threat of resigning from the board the following day we at FTRE felt we needed to talk about our current owner. Jon, Jason and Mike meet in the pub with Watford Observer reporter Frank Smith for a extra podcast.